Playa Desnuda is a ska rocksteady band from Udine (Italy). Their album ’10’ was a long awaited flick, and by the way it celebrates — as by its title — ten years of activity of the group. The album features ten tracks and so the band decided to enrich the publication with an equal number of illustrations (by ten illustrators and designers) that accompany each track. 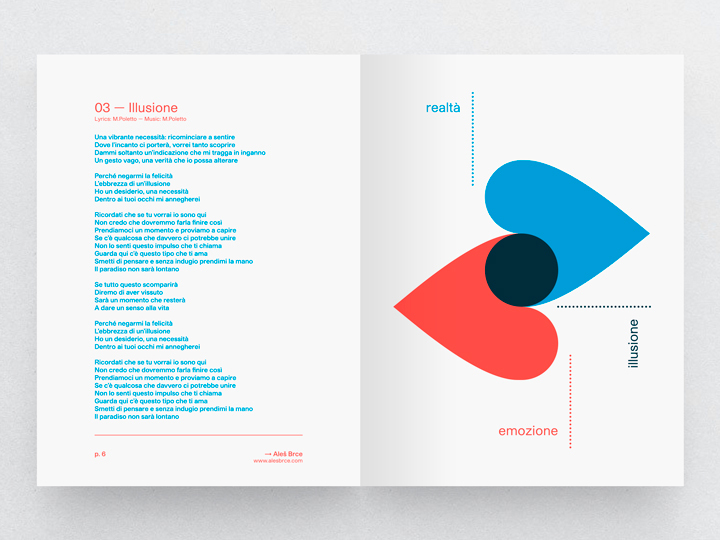 Illusione — the track that the band has given me to illustrate — can be translated in english as ‘Illusion’. The song is a jumpy ska piece, but its lyrics are pretty deep and almost melancholic. 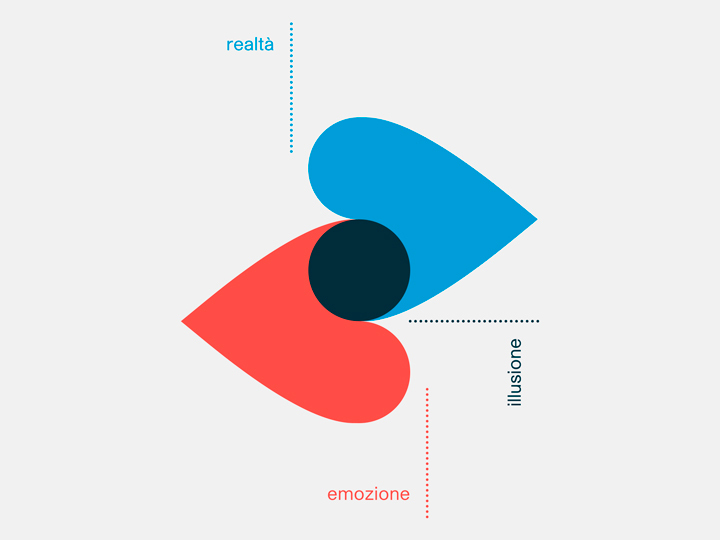 Rather that of a love, Illusione is about a love affair and about the need we have to fall in love. It’s about the mental state that often leads to misunderstandings and that can generate unpaid expectations. Or illusions, in fact. My design is an explicit ‘graphic’ interpretation of the issues that can be filed under “affective illusion / delusion of love”. On the page there is a Venn diagram positioned at the center of everything: it depicts the relationship between reality and emotion. The relationship between these two elements creates, de facto, the illusion. 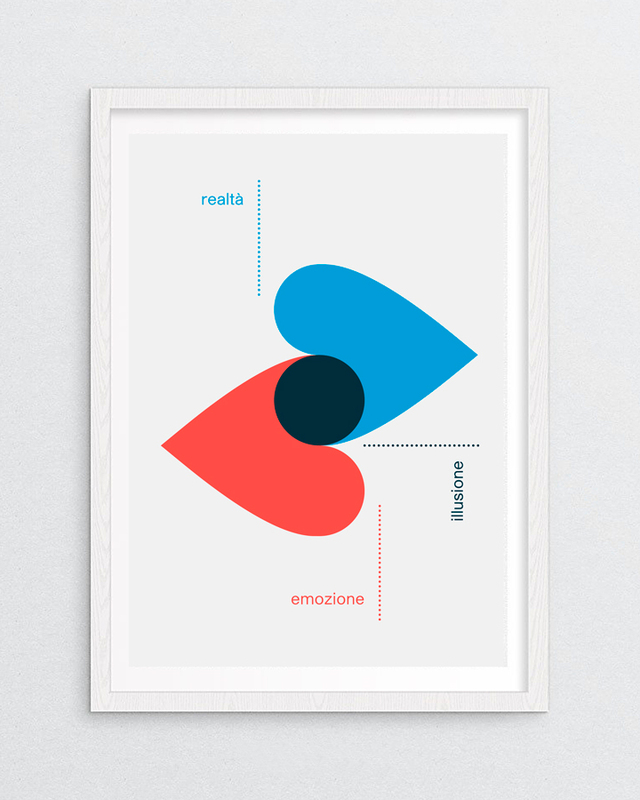 The two forms that make up the diagram are two inverted hearts, but in the vision of the graphic composition you can at the same time catch a glimpse as well as two lips that touch themselves in a kiss. This symbolizes both the blind desire and the need for love. There was also — in addition to the CD packaging’s booklet — a limited edition of A3 posters (series of ten) printed in two colors (red and blue) with Risograph printers on natural paper.